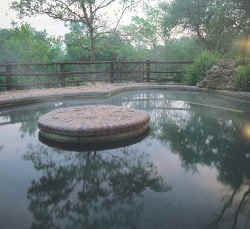 A forty minute journey from Pretoria brings you to the gate of Amanzintaba Resort. Between the Gousberg Mountains and Wilge River one finds a place hidden from city life, where one can explore simple things often forgotten. various sport, entertainment and game facilities offer a wide range of stimulating activities for theentire family. The warm water spa is renowned for its therapeutic effects. The natural beauty of the environment inspires the wanderlust of life and reconnects one to a profound place within. Amanzintaba offers comfortable chalet accommodation, breathtaking natural beauty and new quality facilities. and flora. The Indigenous Forest is a highlight. A place where bugs are interesting rather than annoying and where a birds eye view from high up the mountain places thebeauty of this area into awe inspiring perspective.